The Symphony of Lights is Hong Kong's tribute to the city and its people, their diversity, energy and vitality. As stunning as it is, sometimes I feel like it has been hyped up so much, people are sometimes disappointed by the display, maybe they expected more than what the short 15-minute show actually is. Here I attempt to give you some facts about the show, how best to enjoy it and appreciate it for what it really is. Hong Kong's Symphony of Lights as the name suggests, is a light and sound show that takes place every night at 8:00 pm and lasts about 10 minutes. This is a FREE show. The stage is the entire city, which is what makes it so unique, you can watch the lights from just about anywhere in the waterfront but the best views are from the Tsim Sha Tsui side with the Hong Kong Island skyline in view. The light show involves some forty buildings on both sides of the harbour, you can expect that most of the prominent buildings like the Bank of China Buiding, HSBC Building, Jardine House, the IFC towers, the Peninsula and the Intercontinental participate in the extravaganza. The buildings themselves are lit up with occasional beams shooting out the buildings. In the newest version unveiled for the Christmas 2017 season, ten LED panels join in the spectacle from which messages are displayed encouraging audience interaction. The lights and beams go in synch with the music (most of the time) but it really depends on where you are whether you will hear the music. And of course if you are aboard one of the Symphony of Lights Harbour Cruises you will be able to listen to it. If you happen to be somewhere else and still would like to listen to the music, you can dial 35-665-665 on your mobile phone to access the soundrack. 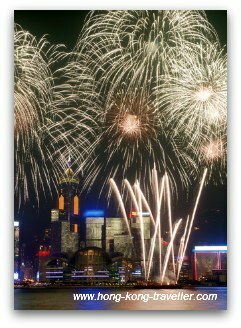 No doubt you have seen some gorgeous pictures of the entire Victoria Harbour lit up in lights and fireworks. This I'm afraid is NOT what the Symphony of Lights is about on a normal day. Fireworks and pyrothecnics are reserved and only performed during the main National Holidays like on National Day, New Year's Day countdown and Chinese New Year. 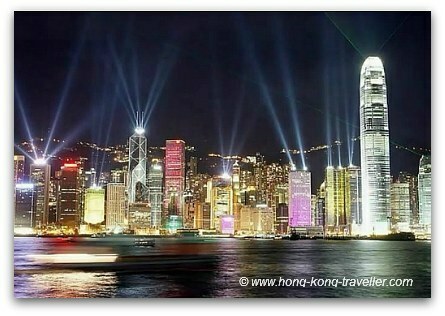 If you happen to be in Hong Kong during one of the major holidays, the spectacle is really a treat not to be missed. Since this is a city-wide spectacle, you should be able to watch the lights from anywhere around the waterfront with a view to the harbour. The best views as mentioned before are from the Tsim Sha Tsui waterfront. The show is not just about the lights, I think the whole atmosphere is part of the experience and you might find that the people-watching is just as enthralling as the Symphony of Lights itself! 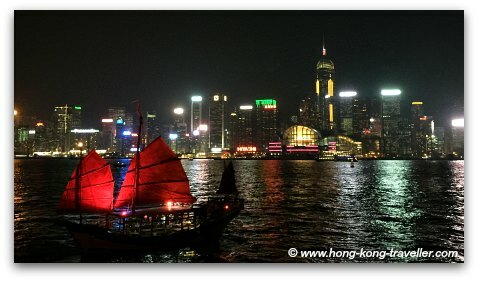 We like the Tsim Sha Tsui Promenade as it faces the Hong Kong Island side which is where most of the action is. 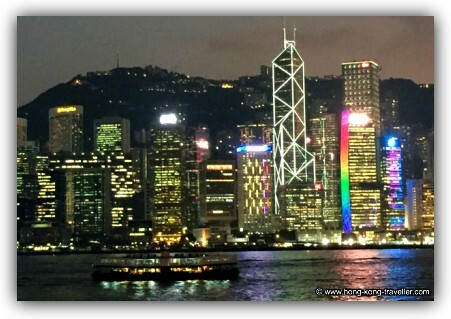 Even now that the show has been expanded to both sides of the harbour, the Hong Kong Island side is home to the majority of notorious buildings in the city and the views are truly spectacular with the highrises and Victoria Peak in the background. Watching from the Promenade is the easiest, there are no tickets to buy, no lines (although you might want to get there earlier and stake out your place for best photographs), the people watching opportunities and best of all, it doesn't cost a cent, just come out and enjoy! A Victoria Harbour Cruise is truly an awesome experience. A relaxing atmosphere, wind blowing in your face, lights all around you, and being smack in the middle of one of the world's most stunning views. 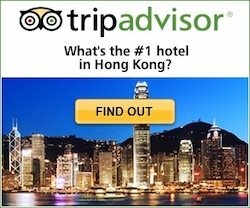 You have the entire 360 view of the harbour with the lights on both the Kowloon and Hong Kong Island sides, as opposed to having to "pick one side" to view them. There are several types of cruises and vessels, they all offer different perks ranging from free drinks and refreshments to full packages including dinner, etc. 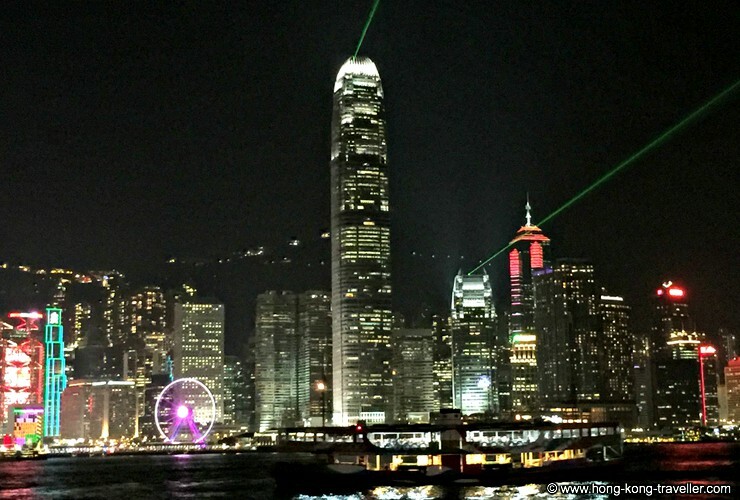 There are simply no words to describe the views of stunning Victoria Harbour and the majestic Hong Kong skyline lit up at night, it's just one of those things you just have to see. This cruise brings you right to the middle of it, offering uninterrupted views of Hong Kong Island, Victoria Peak and the Kowloon skyline while the city's dazzling light show, the Symphony of Lights, unfolds around you. 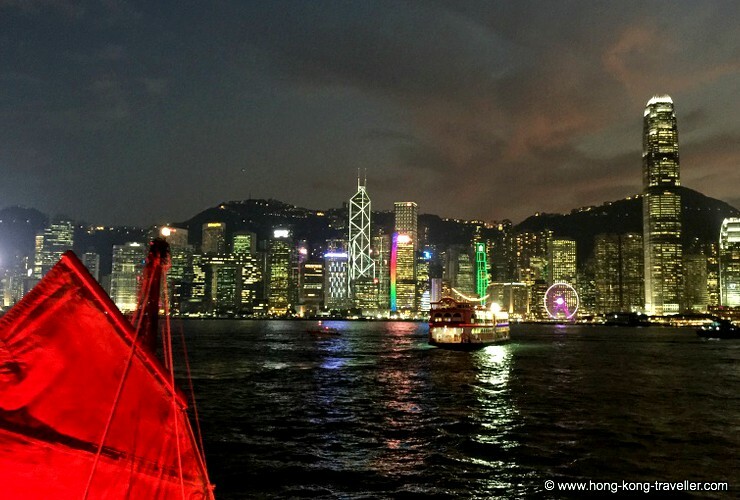 You will cruise Hong Kong's Victoria Harbour aboard a traditional Chinese sightseeing boat, on your 1.5-hour evening cruise you'll enjoy unlimited free drinks from the open bar. The highlight of your evening harbor cruise is the 20-minute Symphony of Lights show, a spectacular display of laser beams bouncing off 40 key skyscrapers on both sides of the harbour. In addition to the commuting routes between Kowloon and Hong Kong Island, the Star Ferry also offers one-hour harbour cruises that circle Victoria Harbour and have regular hourly departures. The cruises are aboard the "Shinning Star" which is an air-conditioned double decker and also has a viewing platform. The Star Ferry Symphony of Lights Cruise departs from Central at 7:15 pm and from the Tsim Sha Tsui Pier at 7:55 pm and costs HK$205 for adults HK$185 for children and seniors. The cruises last approximately 45 minutes and reservations are definitely recommended as they book up fast. 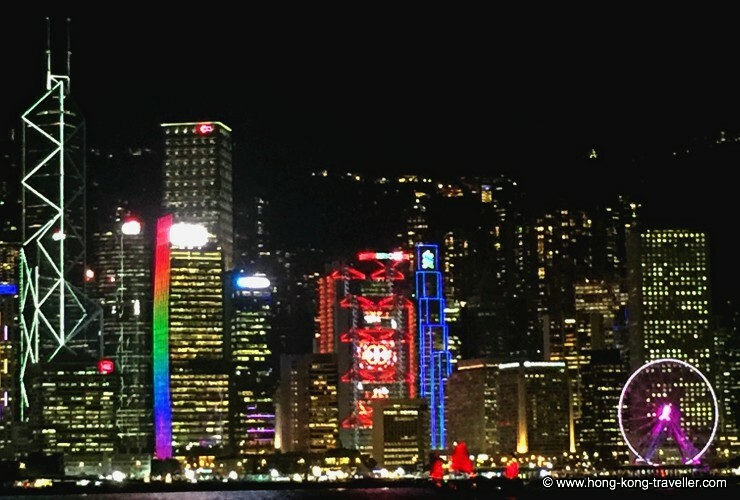 You can also see our Where to Enjoy the Best Views of Victoria Harbour page for additional places to experience the Symphony of Lights. And here's more on Victoria Harbour Cruises.